"First Light" Celebration at Sainte-Marie Among The Hurons. French-Canadian Themed Dinner Included. 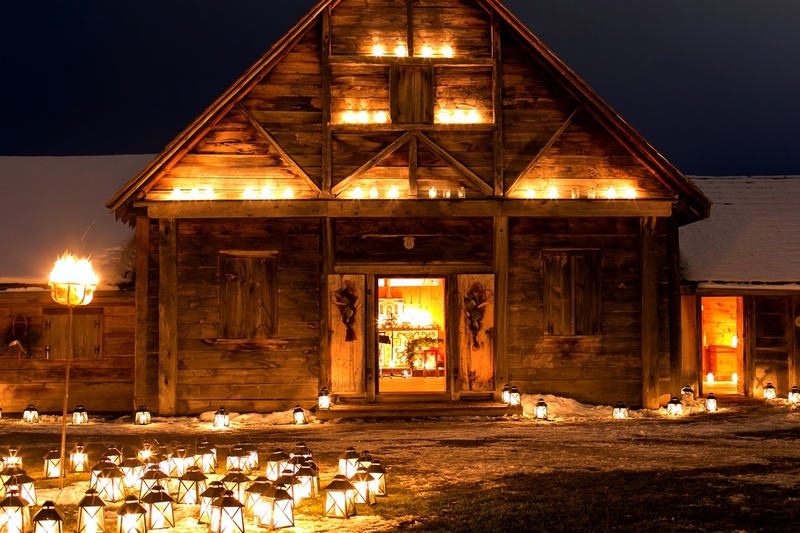 Now in its 19th year, Sainte-Marie’s “First Light” is a must-see event with activities and performers, all amidst the spectacular glow of over 5,000 candles. 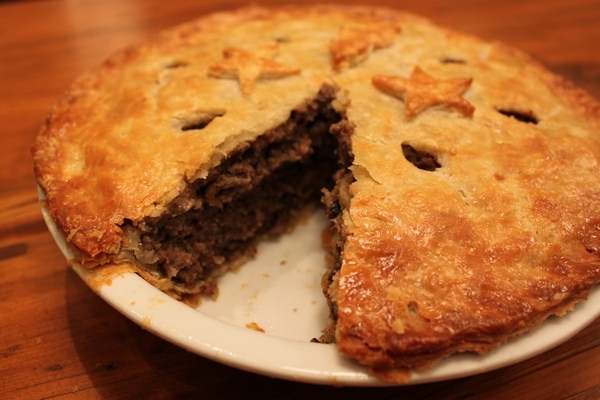 Start your visit with a French-Canadian themed dinner in the French Cafe at Sainte-Marie. After dinner, the magic begins when you tour the candlelit site, as a beautiful amber glow illuminates the mission. 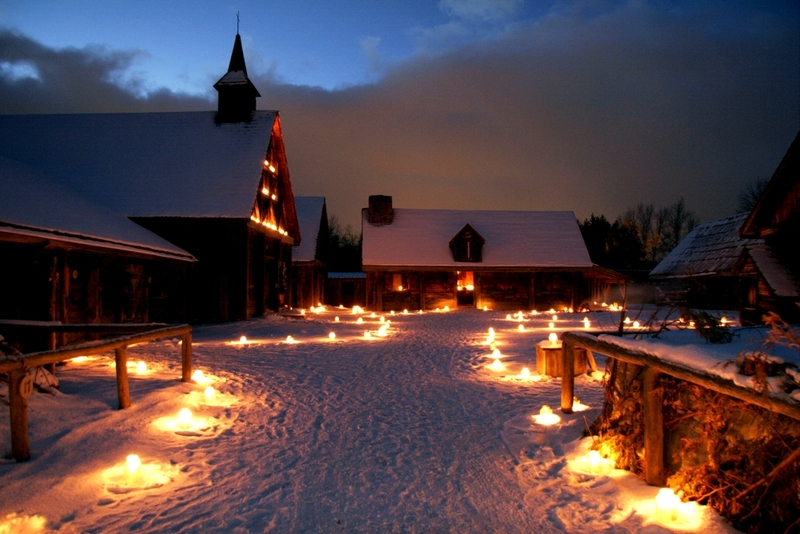 The paths are candle-lit, the cookhouse is filled with the sights and smells of delicious baked goods, and an abundance of live music fills the air including Native drumming and singing, lively Franco-Ontarian folksongs, and delightful community and school choirs performing seasonal music. ​Round trip transportation on a deluxe highway bus. Admission to Sainte-Marie among the Hurons First Light celebration included. French-Canadian themed dinner at the French Cafe included. Complimentary flashlight included, yours to keep at end of tour. Escorted tour with ShortTrips.ca tour director available through the trip. Located near Midland in the beautiful Southern Georgian Bay area, this world-renowned reconstruction illustrates the interaction of the French and Wendat nations. 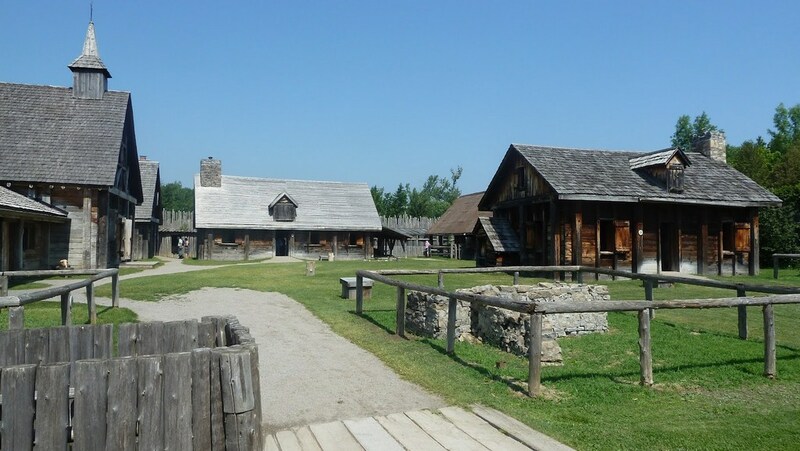 Visitors get a unique opportunity to see the earliest Canadian pioneer life. Upon arrival at Sainte-Marie, we will start our visit with a French-Canadian influenced dinner in the Sainte-Marie Restaurant also known as the French Cafe. Our menu will consist of the following. ​A cash bar will be available for soft drinks and alcoholic beverages. The following alternatives are also available if requested. Please specify at the time of your booking, either online or when booking over the phone.